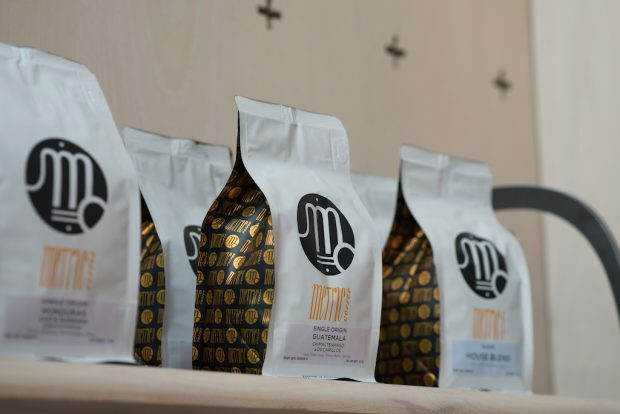 All images courtesy of Metric Coffee. Chicago’s Metric Coffee is opening its first brick-and-mortar café attached to its Near West Chicago roastery. 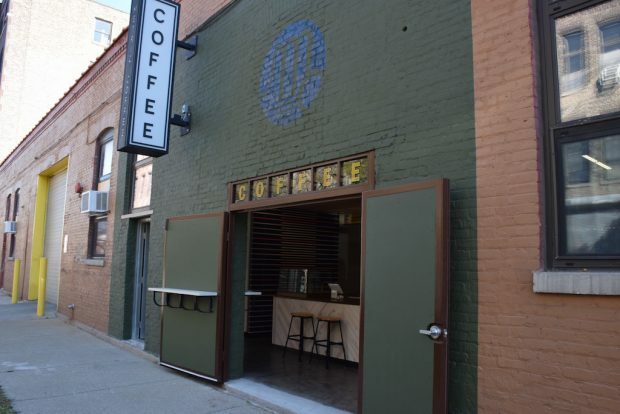 The bar at Metric West Fulton, located at 2021 W. Fulton, sits a short distance from a number of prominent roasting production facilities in the area, including those of Bow Truss, Big Shoulders, Passion House and Intelligentsia. 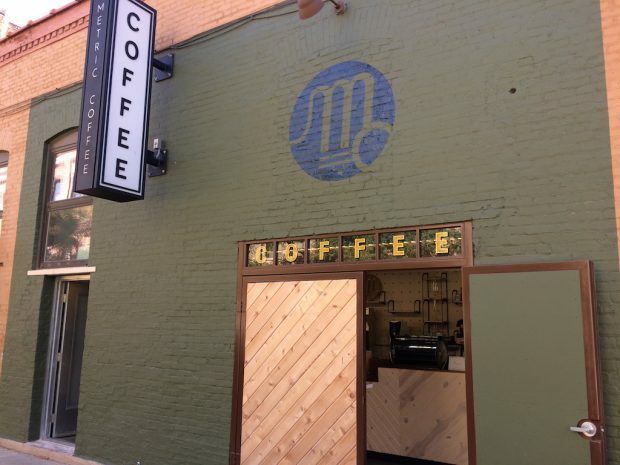 Metric’s space is inside the ICNC business and manufacturing incubator building, and the menu will include any number of Metric’s fresh-roasted coffee offerings brewed through a range of machines and devices, as well as signature cold brews, including RTD Hellion cold brew, nitro brews and other brews on tap. ICNC neighbor Time Machine Juice Co. will provide juices and Spirit Tea is the tea partner. Daytime patrons of the full service coffee bar will have a clear view into the roastery that’s centered on a vintage 1961 Probat and transforms by night into a wholesale training and education area. 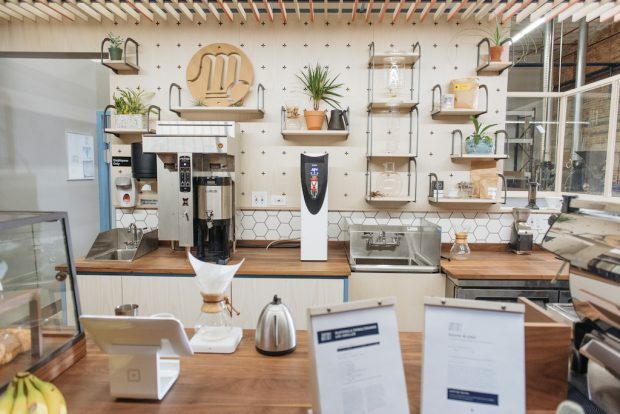 Both components are complemented by two Robur E grinders for espresso via La Marzocco GB5 espresso machines, and a Mahlkonig Guatemala for filter coffees. This is historically more of an industrial area, and this is also a production facility, so what was your approach to the design? Our cafe was designed by [Metric Co-Founder and Caffe Streets Owner] Darko Arandjelovic and his friend Brent Norsman from Norsman Architects LTD, and Mr. Josh Truman who fleshed out the cafe and added his own personal touches to the build. The space is compact, but optimal for the people in the area who want to get a quick and quality cup of coffee before work or during an afternoon break. What kind of feel were you hoping for? The cafe’s feel is inspired by Scandinavian-style cafes and our goal is to build a very open, cool and comfortable cafe. We want our customers to connect with the atmosphere. 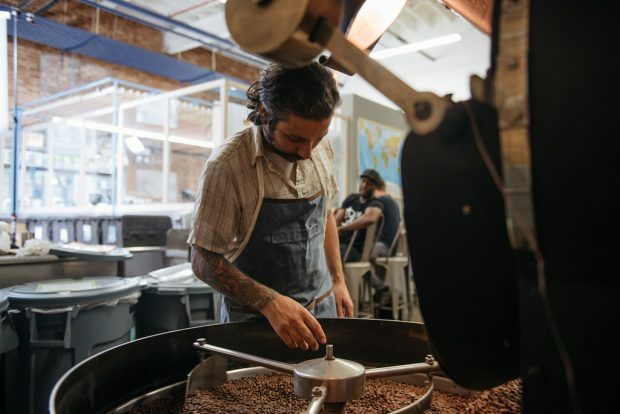 When you walk in for your cup of coffee, you see the entire roasting works over the shoulder of the barista. 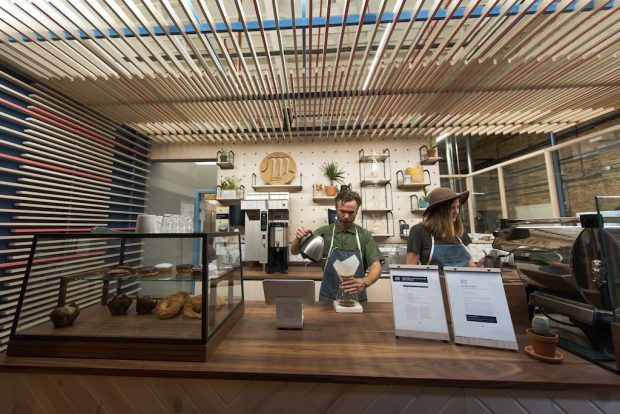 It’s a very unique space that allows customers to engage in a more profound coffee experience. So although small, it’s still inviting and easy on the eyes. How’s business on the wholesale side? Metric coffee started as a wholesale roaster and now boasts around 60 wholesale clients which range from specialty cafes, restaurants and now a hotel partnership with the Robey and Hollander — a hotel connected to the Robey which will have a cafe/bike shop — which is a hotel set to open in November in Chicago’s Wicker Park neighborhood. Coffee is such a personal thing for people, so only time and hard work helps to build the brand. Our focus is on building relationships with people who we connect with and in turn promoting good coffee in our city and beyond. Of course, this hasn’t been an easy road for us, but thankfully, because we are tenacious as hell, we kept the ship afloat and are now seeing the fruit of our hard work. Why open a café, going directly to customers? The short answer is education. We see what other folks do and want to contribute to that conversation, which is centered on how to make better coffee. For us, having our roasting works and cafe under one roof will allow us to share our knowledge and passion with the public and also offer workshops that will cover everything from roasting, sourcing, cupping and barista training. Can we expect additional Metric cafés? Yes. We are excited about opening new cafes, but we aren’t in any rush to expand into areas of Chicago where adding another coffee bar doesn’t make sense. Our goal is to do coffee well and to grow at our own pace. Opening Metric West Fulton inside our roasting works will be the best way for us to build our brand organically, which will then help us know where to expand.